The Cube Ceramic range of basin designs has been created to suit your personal style and routine. 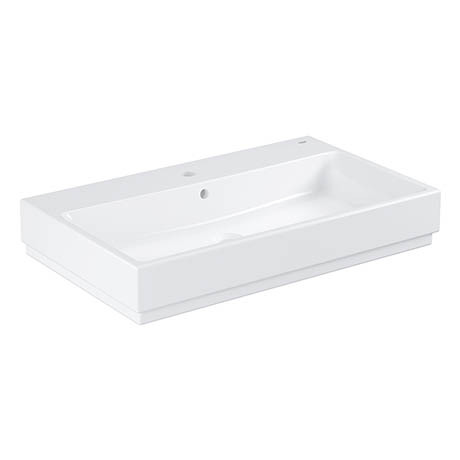 This 800mm wall hung basin is ideal for creating a modern bathroom scheme. It features a single tap hole and built in overflow. Thanks to GROHE PureGuard coating, the ceramic surface locks out dirt and inhibits bacteria. Manufactured from high grade fine fire clay and finished in Alpine White, it's durable surface will look good for years to come. Dimensions: (H)150 x (W)800 x (D)490mm approx.